1977 was a great year for Woz, probably the creative highlight of his career. It started out with Apple officially incorporating as Apple Computer Co. in January, with Wozniak and Steve Jobs listed as co-founders. With venture funding behind them, Apple went on to debut the Apple II at April’s West Coast Computer Faire, the San Francisco Bay Area’s first ever personal computer convention. The computer went on sale two months later in June, priced at $1,298 for a base unit — the equivalent of $5,237 in 2017 money. The Apple II proved a success, bringing in $770,000 in revenue the first year. However, the Disk II’s importance can’t be understated. It addressed the problem of lack of storage on the computer. It also provided a better way for users to store and access programs and data than the slow cassette tapes used at the time. The floppy disk was still a relatively new technology, having been invented in the early 1970s by IBM. The 8-inch original floppies were then shrunk down to 5 1/4-inches by Shugart Associates in 1976. Apple’s first investor and (later) second CEO Mike Markkula recommended that Wozniak build a disk drive for the Apple II. He said the accessory would make the computer more compelling to customers, who wanted legitimate reasons to buy an Apple II, rather than just the joy of owning a computer. Woz wound up working over Christmas to finish the device because he wanted it ready for the Consumer Electronics Show in January. While Woz worked on the hardware, Wiggington helped develop the necessary software to get the Disk II up and running. In the end, the pair hit their tight deadline, and the Disk II went on sale the following June. 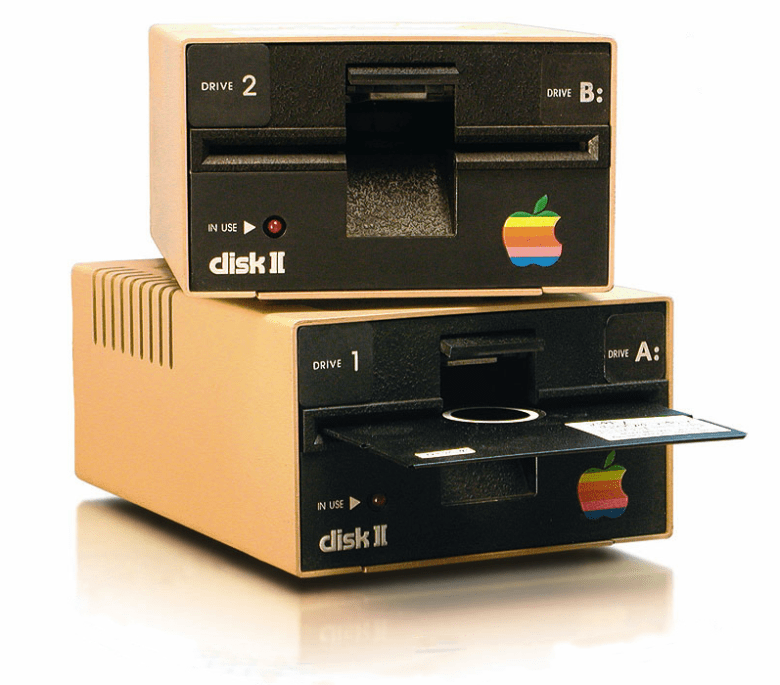 The Disk II became obscenely profitable for Apple. It cost just $140 in components, but sold for $595. Even at that price, it was still the most affordable floppy disk drive sold by a computer company. Thanks in part to the Disk II, Apple brought in $7.9 million in 1978, and a massive $49 million the year after that. Now, that’s a Christmas well spent!